Snowdonia National Park is famous for being the home of the highest mountain in England and Wales, but it's also world renowned for its fabulous scenery and the plethora of outdoor activities that you can undertake. I'm not a massive fan of being under the ground potholing in Llanberis or flying along the world's longer zip wire, so I like my outdoor exercise to be, well...less dangerous. And also way less energetic. This is why I like to walk. 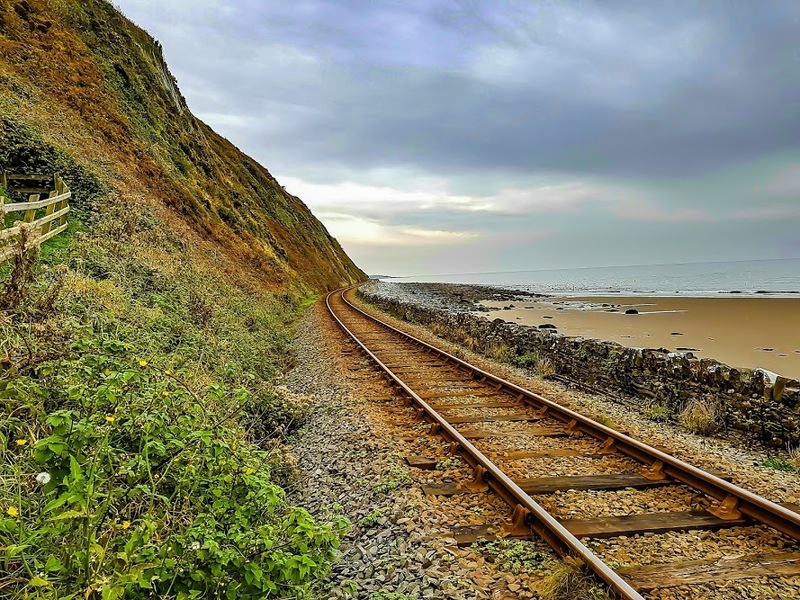 The Zigzag, as it's known locally, is a steep path that leads from the top of the town and leads down across the Cambrian Coast railway line and down to the beautiful sands of Harlech Beach. The walk is short and is way easier on the way down than it on the way back up but, either way, it's not a difficult walk and is great for getting a bit of fresh sea air in your lungs and blowing away any Sunday morning cobwebs. If you don't fancy walking back up the mountain side, you can walk along the beach for half a mile or so towards the town and circle back round to where you started. Beware, though - Harlech is built on a steep hill, so it's inevitable that you'll encounter one sooner or later! Harlech has one of the prettiest beaches I've visited in North Wales and it curves round the corner of the bay to provide fantastic views of Harlech Castle and the Llyn Peninsula and mountain range (including Snowdon). Harlech beach is also the site of the crash of an American Lockheed P-38 Lightning aircraft during the Second World War and it lies buried in the sand on the shore. 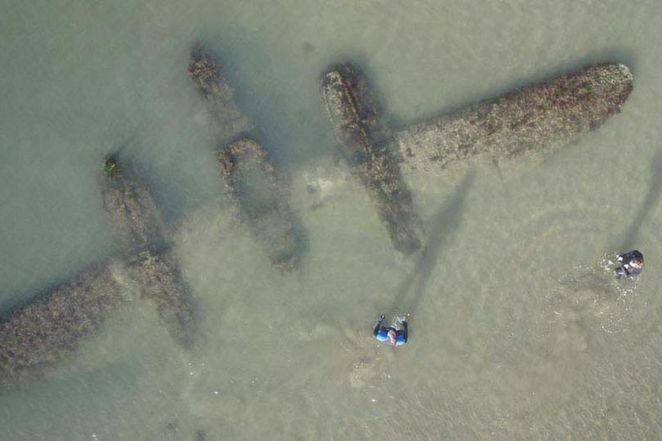 Luckily, the site is due to be protected by the Welsh Government to preserve the memory of the pilot and the war that caused the tragedy. 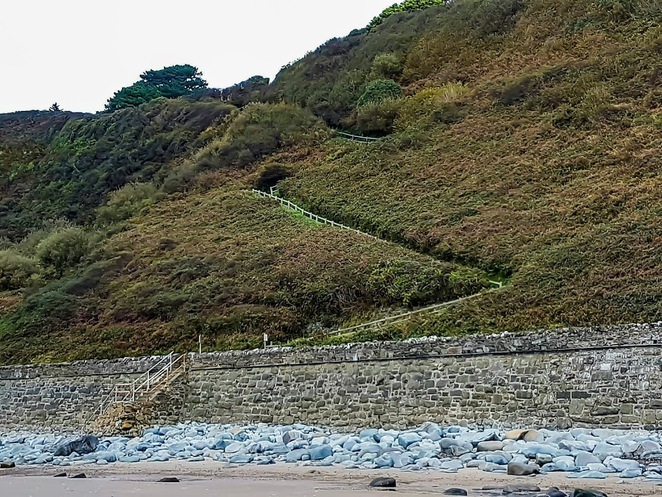 After coming down the zigzag path and stairs, if you head across the beach to the North and follow the boardwalk up towards the town, you will also be able to catch sight of a real Welsh dragon. No, seriously, his name is Dewi and he lives on a 5 star holiday park, keeping his residents safe from...well, stuff, I assume. He is a glorious, shiny, steel structure that looks quite frightening, but he's really just a big softie. 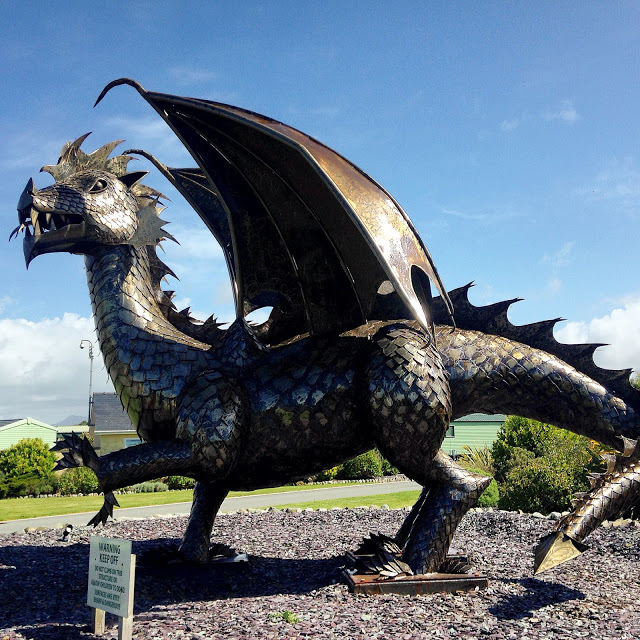 Any way you walk around Harlech, you will always find something to see and do. 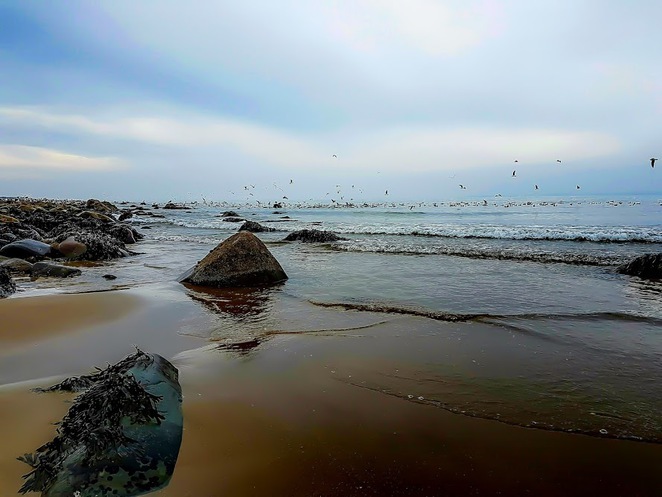 Whether it be a peaceful stroll along the beach, or wandering through the town centre, picking up souvenirs, or visiting the beautiful little boutiques, you'll certainly get your fill of fresh sea air and lots of unspoiled coastal scenery. 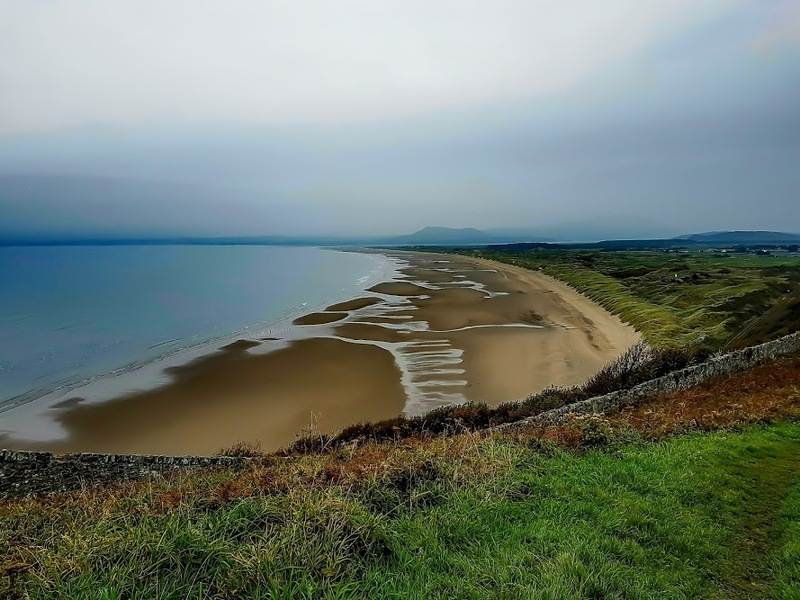 Harlech Beach is also a popular local spot for dog walking and you can always be guaranteed meeting some new floofy companions on your journey. That can NEVER be a bad thing, can it? *Not really. Although they totally should.